Fulfilment is increasingly essential for merchants selling their products on marketplaces. Offered by certain marketplaces, this logistics and shipping service enables sellers to entrust their stock to these platforms, who will take charge of managing products and delivering them to the end customer. If you sell your products on Amazon, Cdiscount and ManoMano, find out how Lengow enables you to manage your Fulfillment orders. Sellers benefit from full order processing with Fulfilment, offered by certain marketplaces. This includes warehouse storage, product preparation and packaging, order dispatch, customer service and returns management. Merchants get a number of advantages using this service. They save time no longer managing certain logistics, they don’t need to store their products in a warehouse, and often benefit from a better promotion of their products and do not have to pay capital costs. While Fulfillment By Amazon (FBA) is one of the best known, other marketplaces have also developed their own fulfilment services, such as Cdiscount Fulfillment and Mano Fulfillment. By opting for these services, merchants can send all or part of their stock to be managed by the marketplace. If you choose a fulfilment service, you must indicate which products in your catalogue are concerned by fulfilment by entering specific attributes so that they are clearly identified. As order management differs from one marketplace to another, why not manage your stock via Lengow in a uniform and automated way? How does Lengow integrate with these programs? Lengow is compatible with Fulfillment By Amazon (FBA), Cdiscount Fulfillment and Mano Fulfillment (in France). In addition to centralising the management of your fulfilment programs, our platform allows you to distinguish between your classic orders (at your expense) and fulfilment orders (managed by the marketplace). Find out below how to configure your flow so your “Fulfillment” orders are clearly identified, and are shared with Lengow and directly to your back office via our plugins Prestashop, Magento 1&2, Shopify, Shopware or our API. If you have subscribed to the Amazon FBA program, access the “fulfillment_center_id” attribute visible in your Amazon feed during the field matching step. Then add the mention AMAZON_EU to indicate that the product is “Treated by Amazon”. If you forget to enter this attribute or add the mention “DEFAULT”, then your products will automatically be interpreted as “Processed by the seller”. This means that you will have to take care of the order. 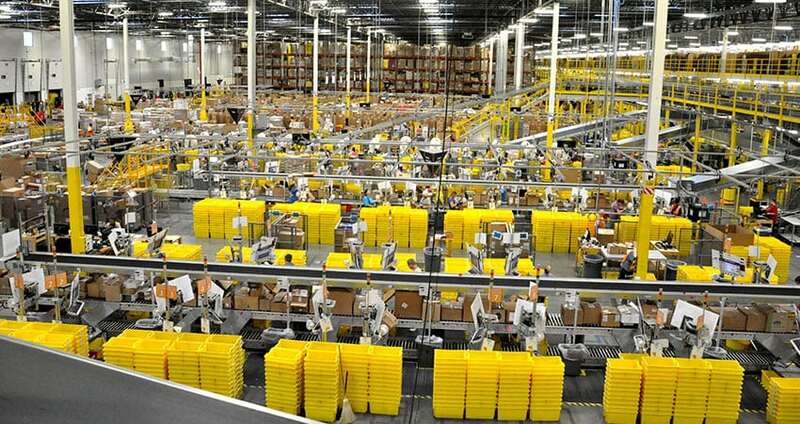 Once the attribute “fulfillment_center_id” has been filled in, the quantity of your product needs to be completed as “empty”, as Amazon will take over stock management. If only some of the products in your catalogue are included in the FBA program, apply a rule on the attribute “fulfillment_center_id”. With this rule, you set your product quantities to zero, only for the products concerned. The FBA program orders will then automatically appear with the status “Sent” on our platform. NB: Amazon is currently running a promotion for new sellers or merchants new to FBA. For Cdiscount Fulfilment, the section of “Fulfilment” products needs to be completed directly in the Cdiscount back office. Once this step is completed, the orders you receive from the Cdiscount Fulfilment program will appear in Lengow with the status “Shipped”. Before completing the attributes required to configure Mano Fulfillment within Lengow, contact our Support team who will create a new feed for you. Then complete the specific attributes with the valid values accepted by the marketplace. To learn more, check out our slideshare. Once this step is completed, orders via the Mano Fulfillment program will update automatically on our platform, e.g. with the status “Shipped”.